I'm really enjoying playing along with Anna Kossakovskaya's CASometry Challenge 2. Make 5. She is challenging us to make five cards using the same stamp set. my newest stamps to play with. and decided to use my PTI Spring Woods stamp set to make my Clean & Layered card. PTI harvest gold, bright buttercup, summer sunrise, limeade ice and simply chartreuse. I used my MISTI and added ink to my stamps a second time, using the rock 'n roll technique. I adhered these to my card, using dimensional adhesive for the bird. ("you are my") in dark chocolate. 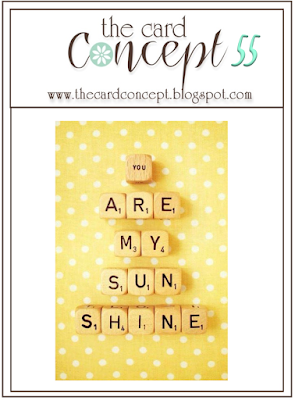 Studio Calico's Sending You Sunshine stamp set. What a pretty and happy scene. Everyone should wake up to this scene. Wow what a beutiful card!! The color are just amazing! 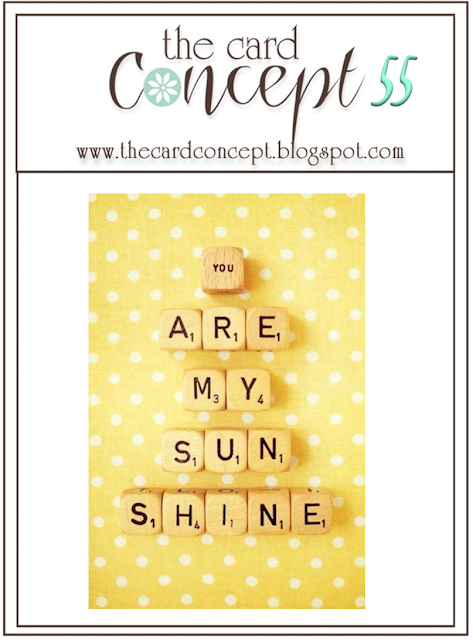 Yellow is such a cheery springtime colour, what a fabulous card! This is super cute, Leigh! What a glorious inspiration indeed Leigh! This card would bring a smile to anyone's face Leigh, it's so PRETTY!! My gosh, this is just SO stunning!! I really need to get myself some good bird stamps. Oh, this is beautiful. Love that bird. Thanks for joining us at The Card Concept! Your card is so perfect for the challenge. I Love the wee bird. Leigh, there must be something special about your style that always draws me right in! You have one of my favorites week after week! Today's card is gorgeous--bright, cheerful, and beautiful color too! Thanks for joining us at the Card Concept!